Do you feel like your home is full of clutter but you don’t have enough time to clear it? Do you want to get rid of your worn out furniture and old electronics? Do you need to clear out your garden? Go Rubbish Go is here to help you. 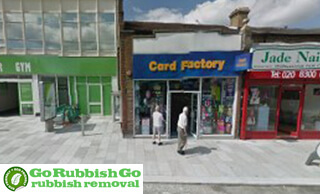 We are a well-established company that offers affordable and efficient rubbish disposal in Sidcup. We will come to your home at any time that suits you and will take care of your waste situation. Our waste collectors are well-trained and experienced to provide you with the best DA14 waste removal services. Waste disposal can actually be easy. 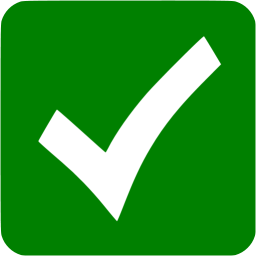 You just need to call 020 8610 9182 and arrange our waste collection services today! 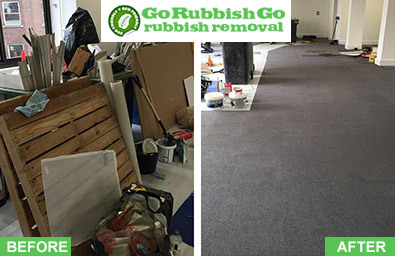 Go Rubbish Go offers fast and efficient rubbish disposal solutions at reasonable prices. We understand that you don’t want to spend much money on rubbish clearance in Sidcup, DA14 so that we offer our services at low prices. Our price is the best in Sidcup and we offer lucrative deals that will make the price even lower. We never compromise on the quality of service. We work with some of the best experts in the industry in order to provide you with a first class service. We try to make waste collection in DA14 affordable for anybody who needs professional help. We provide excellent services that people of all budgets can afford. We want to help anyone in Sidcup manage their waste easily and quickly. 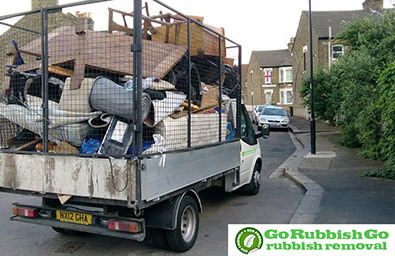 Our company is the best rubbish removal in DA14, Sidcup that works for the satisfaction of its customers. We are a customer-oriented company and always try to meet our clients’ needs and expectations. Our experts will help you with everything you need. They will load your junk, transport it and dispose of it in a safe and eco-friendly way. As part of our commitment to the environment, we try to recycle as much rubbish materials and items as possible. We offer a wide range of rubbish clearance services. We can help you get rid of old electronics, worn out furniture, as well as green and construction waste. We can also clear out your garage and attic at an affordable price. Rubbish removal has always been a difficult task for me. I’ve tried some companies but the results were not good at all. Everything changed for me after I hired Go Rubbish Go. They had some of the best offers in Sidcup so decided to call them. They were really quick to respond and sent a great team of professionals to my home in DA14. They were very helpful and efficient and took away all the junk from my home in no time. I couldn’t be happier with the service. Excellent help! I will definitely use their services again! Also recommend them to anyone who needs professional help! If you are already convinced of our professional ways of dealing with all kinds of waste, call 020 8610 9182 and arrange our waste disposal DA14 services now. Get your house completely clutter-free. Empty your garage from any old furniture. Clear out the garden and forget about green waste. Our trained and highly experienced waste collectors will come at a convenient time for you and will deal with the job in no time at all. Our waste clearance services are available to anyone in Sidcup looking to get the best deal and reduce their carbon footprint. Our services are good to the environment. We recycle about 85% of the junk we gather and dispose of the rest safely and responsibly. 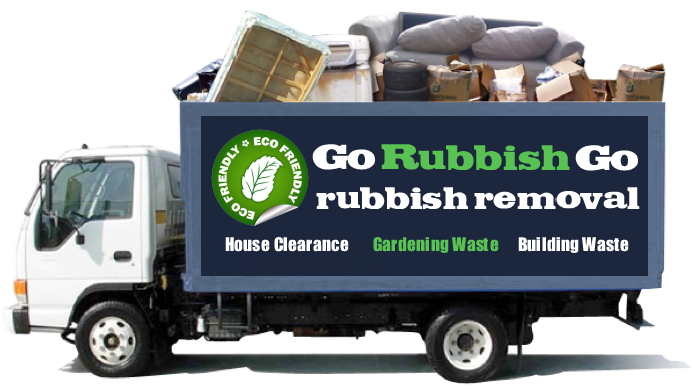 Hire our rubbish removal company now and get the best deal! Our waste collection team operate in the entire Sidcup area and provides expert help to both residents and businesses. Sidcup waste clearance is made so much easier with our professional service. We strive to deliver fully customised solutions to our customers based on their specific needs and requirements. You don’t have to spend too much time and efforts on rubbish removal. You just need to call 020 8610 9182 and let us handle the job. We are equipped with modern vans and the latest tools, allowing us to manage efficiently any amount of waste. Your home and garden can be free of all of the clutter by the end of the day. You just need to trust us! Sidcup is a nice suburban area in south east London. It is located in the London Borough of Bexley, and only a small part of the area is part of the Royal Borough of Greenwich. Originally it appeared as a small hamlet with a short street of houses. Nowadays there are lots of large Victorian and Edwardian properties. There are also many parks and open spaces for anyone that seeks relax and peace of mind. Sidcup is not served by the London underground. There is a railway station that connects this area to the rest of London. On its territory there are secondary schools and colleges. These include: Burnt Oak Junior School, Orchard School, St Peter Chanel, Kemnal Technology College and Hurstmere School. In 2011 the population of Sidcup was recorded as around 11 000 people.